Enjoy Spotify’s library of more than 30 million songs with this seamlessly integrated app – the first true, in-car, Spotify experience. Featuring all the same intuitive functionality as the Spotify smartphone app, you can search for songs, stations and recommendations, and access your music in Offline Mode. More than 30,000 radio stations and 1 million podcasts from 120 countries at your fingertips, from sports to news, music and many others. Search stations and podcasts by country/city and genre, create your Favourites list and listen to it at home or abroad, in your car, on your smartphone, tablet or Apple TV/wearable. Stitcher allows you to listen to your favourite news, comedy, sports and talk radio shows on demand. Discover the best of NPR, CNN, Fox, BBC, WSJ, Adam Carolla, Joe Rogan, Rachel Maddow, Rush Limbaugh, Fresh Air, Freakonomics, Radiolab and over 20,000 shows, podcasts and live stations. Download or stream an audiobook from our library of over 45,000 free audiobooks including bestsellers, new releases and classics in every genre. Tile* is a tiny Bluetooth tracker and easy to use app that helps you find lost or misplaced items in seconds. Attach Tile to your keys, wallet, bag or anything you need for your journey. The app on your Touchscreen will make sure you have everything with you before you set off. Weather for Life provides you with the best possible weather information with Superior Accuracy™, for every location, with a hands-free view of current weather conditions, hourly forecasts, severe weather alerts, and a MinuteCast® summary, all while driving safely, securely, and without distraction. Familonet answers the question “where are you right now?” in a heartbeat. It is a free location messenger for family, friends and other small groups that allows you to easily keep in touch with the people in your life. Genius Maps is a premium GPS navigation solution for iPhones and Android phones. All the maps are stored on your device, so there are no roaming costs and your battery lasts longer. Genius Maps’ rich feature set equals or exceeds those of professional navigation systems. Sygic is an offline GPS navigation system, helping 33 million people every day travel confidently and safely in 115 countries. CitySeeker acts as your personal concierge for travel information and city guides when you’re on the go. Explore over 500 cities worldwide, including the hotels, restaurants, attractions and cultural hotspots. EventSeeker is your personalised in-car event service. It minimises searching and maximises discovery so you’ll never miss what’s right around the corner. Whether you are new to a city or a locale, the app uses your social likes and music libraries to recommend events in any city you’re driving through. HotelSeeker discovers and books accommodation for you around the world. A comprehensive selection means you’ll find the perfect place to spend the night. HotelSeeker guarantees complete listings catering to your preference of brand, rating and cost. Parkopedia is the world’s largest parking information provider used by millions of drivers every month online and through its smartphone app. Parkopedia provides detailed information on 28 million parking spaces in over 90,000 facilities across 6,000 cities in 40 countries. Glympse is a fast, free and simple way to share your location using GPS tracking in real time with friends and family. News on Board uses text-to-speech technology to offer high quality news content collated from leading global news agencies into six separate categories, keeping you abreast of developments in real time while you’re on the road. Rivet Radio is the perfect companion for your morning commute, at the gym on or the go. Stay informed on everything going on in your world - local, national and global news is delivered straight to you. 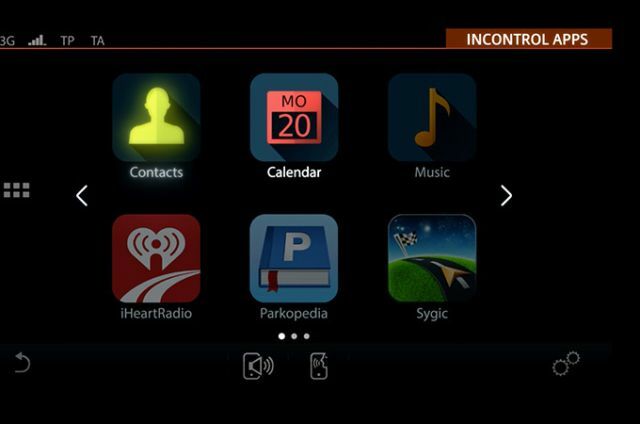 Once connected to your smartphone, InControl Apps can be controlled from your vehicle’s Touchscreen. To find out how to install InControl Apps and search for compatible apps, please consult your country-specific Land Rover website or local Retailer. 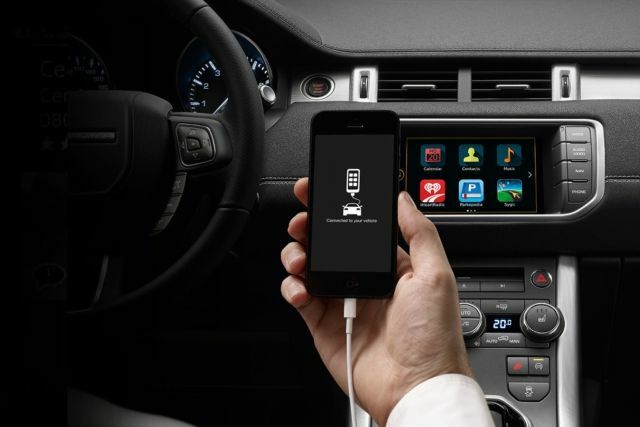 Once your chosen apps are downloaded, connect your smartphone via the USB port within the vehicle to use them through the vehicle’s Touchscreen. InControl Apps are available on most Android and Apple iOS smartphones. InControl Apps works seamlessly with your vehicle’s Touchscreen. Plan, discover, and stay connected to your vehicle-optimised Apps. *Please note that we don’t have any close partnership with Dropbox or Google Drive, we are only using the open API (open solution) offered by both of them. We have to follow their Logo and branding guidelines, therefore we are free to reference their services in our App description.